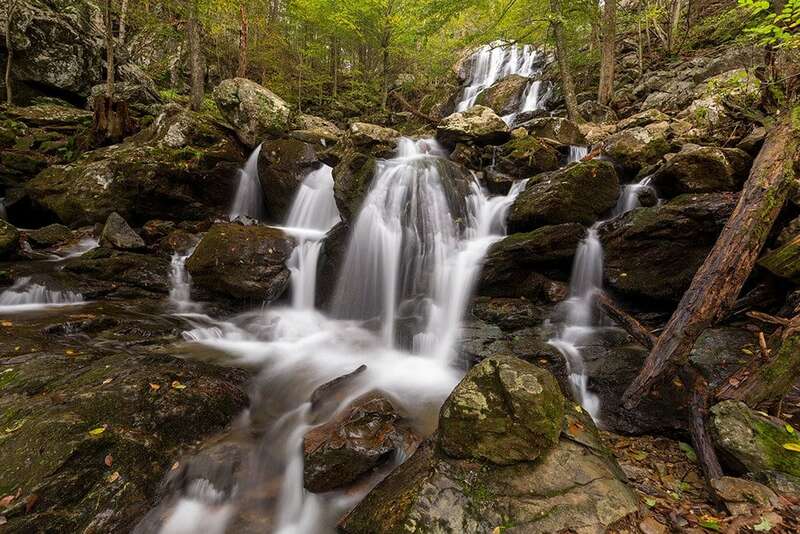 Many photographers need to do a few different things in order to earn a full-time income. Things like freelance writing for photography blogs or magazines, writing books or ebooks, creating online courses or other digital products, running workshops and seminars, licensing stock photos, and selling prints are all possible supplements to income made from client work. Although I enjoy photography, I’m not a professional. I’ve never sold my photos and I’ve never been paid to take photos for clients. However, I was able to make more than $1 million in the photography industry over the course of about six years (2012 – 2018). I didn’t try to make money photographing weddings or by photographing for magazines. There are countless photographers more talented than I am, so I knew those weren’t good options. Instead, I used blogging and digital products to make money in the photography industry. During those six years, I started a few different photography blogs. I made around $550,000 while I was managing those blogs, and I made a combined $700,000 when I sold the blogs (I’m not running any photography blogs currently). After my expenses for running the blogs, it came out to $1,138,610 in net income during those six years. Not only was it a pretty good source of income, but it also gave me the chance to improve my own photography while I worked on something that I enjoyed. 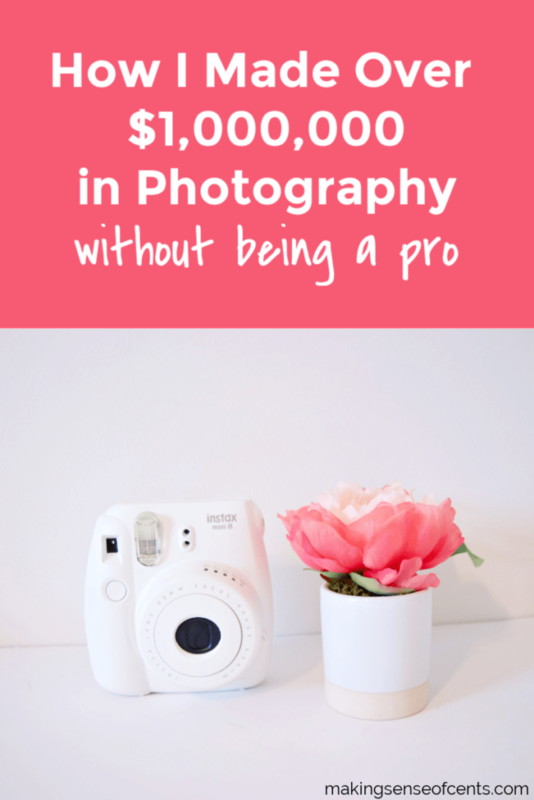 I believe that my approach to making money from a photography hobby is something that could be applied to other hobbies or interests that you have, and we’ll look at those specifics later in the article. For most of my life, I had no interest in photography. But sometime around 2010 I started taking photographs of textures to be used in graphic design. At the time I had a web design blog, and many design blogs were giving away or selling textures that other designers could use in their own creations. 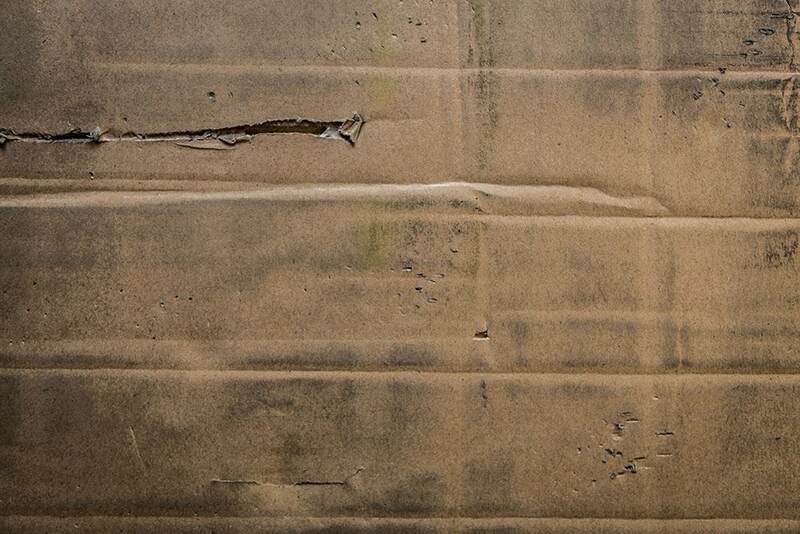 For example, a rusty metal texture could be used as the background for a poster design. I wanted some textures to give away on my blog, so I would take my camera out to a park and photograph whatever textures I could find. It would be things like large stones, grungy concrete surfaces, brick walls, rusty trash cans, or anything else that caught my interest. When I would photograph textures I’d try to go out at times when people wouldn’t be around, because you get a lot of strange looks when you’re photographing the ground or a trash can. I had to learn how to use my camera in manual mode in order to get the best photos. It was kind of a pain at first, but the more I learned, the more I liked photography. 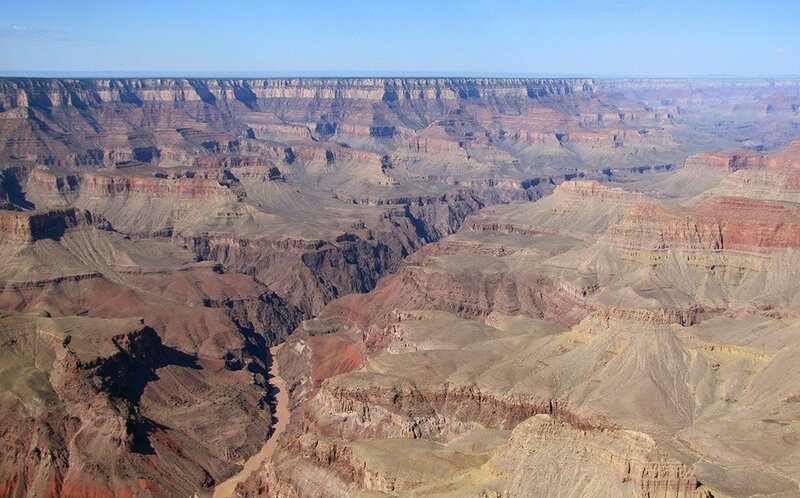 Over the next year or two, trips with my wife to the Grand Canyon and to Europe took my small interest in photography and made it into something much bigger. As I was learning about photography, I was visiting a lot of websites and blogs and I noticed that there were many different types of digital products being sold to photographers, both hobbyists and professionals. Things like ebooks, courses, software, plugins, apps, templates for marketing materials, card templates, photo overlays, Photoshop actions, Lightroom presets, contract templates, business forms, and more. I wondered if I could create (or hire someone to create) digital products and sell them to others who had an interest in photography. At this point, I was intrigued about the possibility of making money with my photography hobby. I had been blogging for a few years (on subjects other than photography), so I thought I could probably incorporate blogging with photography. To get started, I hired people to create a few products for me, with a budget of about $300. I had experience with Photoshop, so I was also able to create some of my own digital products. These were low-ticket products that would sell for a few dollars each, and then I also had a bundle that included all of the products together. I’m not able to list the domain names of my former sites or the exact products that I sold because of confidentiality agreements. However, if you visit a deal site like PhotoWhoa you can see many examples of products being sold in the industry. The products I sold would fit in here. Each product at my sites would be priced between $5 – $99 for an instant download. They are relatively easy and inexpensive to create. They are more of an impulse buy and if you’re just getting started they are a little easier to sell than an expensive product like a high-end course. You can create a lot of small, inexpensive products and bundle them together. The bundle price is higher than the price of a single product, but much lower than the price of buying everything individually. You can show this as a big discount, and get higher conversions because of the value. It’s basically the same concept used by sites like Ultimate Bundles, but on a smaller scale. The initial product creation phase took me about a month or two. It was just a part-time project in my spare time, otherwise it could have been completed faster. I set up a very basic WordPress website to display the products (see this page for WordPress installation instructions). The website had a simple shopping cart to allow visitors to buy the products, but I had no traffic and I didn’t anticipate many sales coming through the website at first. My first attempt at making money with the products involved reaching out to a few daily deal websites that sold products to photographers and designers. These sites already had audiences of buyers and I could partner with them to sell my product, and we’d split the revenue. These sites would offer the bundle of all my products to their audience at a discounted price. The amount I made on each sale was pretty small, but there was potential to do a large volume of sales. Ultimately, I wanted to be able to sell the products through my own website instead of through third-party sites that would take a big chunk of the revenue, but I knew it would take time to build up traffic to my own website. Selling on third-party websites allowed me to quickly test the demand for my products and start making some money, even if it wasn’t a lot. My first deal was on a small site. I knew it wouldn’t generate a lot of money, but I wanted to test things out before trying to line up promos on bigger sites. That deal made me several hundred dollars, which helped me to know that there was a demand for the products. Once I had confidence that the first deal was a success on a small scale, I started reaching out to some other deal sites. Note: If you’re thinking about how you would apply this concept to a different niche, you may be unsure how to find these types of sites. Essentially, all we’re really trying to do here is leverage someone else’s existing audience. Let’s take a look at a few options. First, there are marketplaces like Etsy, Creative Market, Envato Market, Redbubble, and stock photo marketplaces where you can sell your products. Depending on the niche you’re in, there may or may not be something similar. Second, many niches have daily deal websites that reach a targeted audience. Some sites like Ultimate Bundles reach large audiences in many different niches. AppSumo (tech and software), MightyDeals (design), Peachy Cheap (scrapbooking), and Spa Week (spa and wellness) are just a few examples of niche deal sites. These types of sites partner with product creators to sell products. Search your niche and you may find some good options. In addition to the niche deal sites, depending on the product you are selling, you may also be able to partner with larger deal sites like Groupon. There are also local deal sites in many locations, so there may be some options in your area. Third, if these types of deal sites don’t seem to be an option for you, consider finding affiliates to promote your products. If you can partner with affiliates who have an email list and/or blog audience you can get the same results, or even better. Offer a coupon code or exclusive discount that affiliates can use to promote your products to their audience. Look for blogs that already promote other products in your niche as an affiliate, and reach out to them about the possibility of giving a special offer on your product to their audience. The first few deals went well (my share from the best deal was $10,000), but through these deals I was selling a bundle of all of my current products. That means I had nothing else to offer customers for future sales, and it also limited the number of promos and deals I could run on third-party sites. I couldn’t keep running the same deal over and over. So my next step was to add more products. I created some on my own, but I also hired freelancers to create products that I wasn’t able to create myself. Thankfully, the deals I was running on third-party sites provided plenty of money for me to pay for the development of these new products. With more products, I was able to create other bundles and sell them on the same deal sites that I had used earlier. I also started selling some of my products on marketplaces like Etsy and Creative Market. By this stage, I was bringing in decent money from sales on third-party sites (a few thousand dollars per month), but it was inconsistent. My long-term goal was to have enough traffic coming to my own site that I wouldn’t need to rely on third-party sites for sales. I started to drive traffic to my blog by posting articles related to different aspects of photography. Since I wasn’t an expert photographer I hired a few freelancers to write detailed tutorials that I wouldn’t have been able to write myself. I did publish some of my own content, but it was mostly inspirational showcases and list posts. The blog posts started to bring some traffic. Once visitors arrived on the blog they saw ads for my products, and slowly I started making more sales directly through my site. Pinterest was a good source of traffic, and as time went on, Google search traffic became more significant as well. Building up the blog also opened up the possibility of other revenue streams. 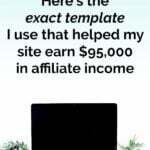 While I made 80-90% of my money from these sites by selling my own digital products, I did supplement that with a small amount of revenue from promoting products as an affiliate. I didn’t promote products that were in direct competition with my own, but I did promote some complimentary products. If I had held on to the blogs I would have looked into the possibility of also using sponsored content to monetize the blog. That should have been a good option as the traffic and reach increased. Probably the best strategy I used for driving traffic was creating freebies to give away on my blog. The freebies were basically a limited version of the products that I sold, and to get the freebies people would have to opt into my email list. 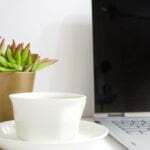 At first, I reached out to some other blogs and websites to get a link to my freebies from their photography resource pages. That approach led to some links that sent targeted traffic day-after-day. And after the freebies got a little bit of exposure, a lot of other blogs started linking to them without any effort on my part. Those links wound up sending a nice, consistent flow of traffic, and many of those visitors turned into email subscribers. The freebies allowed people to try my products without paying anything, and some of them wound up buying from me. As the email list grew, so did my sales. The email list also helped me with the occasional promotion of products as an affiliate. Now that I had a site that was doing pretty well, I decided to start another similar site. This second site also sold low-ticket digital products to photographers, but the specific products were a little different than the ones I had been selling on my first site. 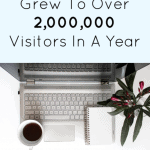 With the second site I took the same exact approach of using a blog and freebies to build an email list, and I also ran some deals at third-party sites. Within just a few months this site started making sales consistently just through organic traffic. A few months after starting the second site, I actually decided to start a third photography blog/website. I took basically the same approach with the third site, except it was a niche website on a particular type of photography. I created only a few different products that were higher-priced, rather than having a lot of lower-priced products. 2015 was the year it all started coming together. 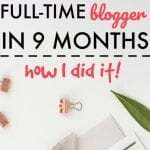 My three blogs were growing nicely, and by the end of the year I was making $15,000 – $20,000 per month, working part-time on these sites (I had another business going at the time). By now I was seeing the results of the work I had put in earlier. Early in 2016, I sold two of my photography blogs for $500,000, but I kept the third one. Over the next couple of years, I continued working on that blog by focusing on growing the email list and selling digital products. I continued to write some of the blog content myself, and I also had a few different freelancers that would write content for me as well. In August of 2018, I sold that blog for $216,000 ($194,400 after broker fees) when I was ready to move on and do something else. The sale of that blog put me over the $1 million mark (in terms of net income) with the photography blogs that started as a hobby. Selling a website or blog is a personal decision and there are a lot of factors that need to be considered. Yes, I did lose the ongoing income by selling each of these sites/blogs, but I also freed up my time to work on other things. If you do decide that selling a website or blog could be a good option for you, getting 2 or 3 years’ worth of profit when you are ready to walk away is a nice way to boost your income quickly. The creation of digital products. Leveraging other people’s audience to make sales (I mostly used daily deal sites, but you could take a similar approach to get others to promote your products as an affiliate). The use of freebies to generate traffic and grow an email list. Using the email list to make more sales. I’m a big fan of finding ways to monetize a hobby, because it makes working a lot more fun. If you have a hobby that you’d like to monetize I’d recommend thinking about the types of digital products that you could create and use a blog to sell them. Marc runs a personal finance blog, Vital Dollar. 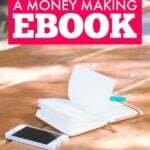 He’s been working online full-time since 2008 and has written a free report on How to Make Money with Your Hobby. Hi this is very inspiring! When I was chasing early retirement I was looking for some job I could keep doing part time to keep giving my life some structure which was both fun and non-time consuming. Seeing a way to turn your favorite hobby into $1,000,000 is awesome but blogs can be a lot of work and people shouldn’t forget that at one point they liked the industry they work in (maybe not everyone). I ended up keeping a 1 day a week gig at the company I retired from and I love it. Are you happier now moving on and not having to blog all the time (blogs are time consuming!) or was your next project another blog? Blogs definitely can be a lot of work, I agree. The main reason I sold the blogs and moved on was because I was trying to do a few different things at the same time, and I felt like I was spread thin. The photography blogs had some value, so it made sense for me to sell them and free up some time. I’m still blogging, just not on photography. My main project right now is a finance blog, VitalDollar.com (it’s linked at the bottom of the article). I think it’s likely, or at least possible, that I’ll do something with photography again in the future. My goal is to retire a little early and travel with my wife. I’d like to have a photography website or blog that I could incorporate into travel, keep me busy, and give me some income even if it’s a small amount. The blogging aspect of it wasn’t bad. I hired freelancers to do about 1/2 of the writing, and I handled the other 1/2. I recommend getting back on your blogging grind and up your content production. Give me a holler if you have questions of ways to increase content marketing output. There’s all kinds of “side hustle millionaire $ gUaP $” to be quietly earned and waiting for anyone to tap into using affiliate marketing, blogging, and doing the transformation business work. I’d really appreciate if you’d check it out! Yes, bundling was definitely a huge part of the growth of those sites. The same approach could definitely be used in other niches and with other types of products. Inspiring post! 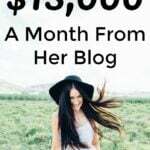 How did you go about selling your blogs? I have a few that are doing well but that I don’t have time for anymore (can totally relate to being spread too thin!) and selling them would be a total win/win – less guilt for not having time for them and money to put into my current business. The first sale in 2016 was privately because I had a person in my network who was interested. The second sale, which was last year, was done through a broker. A broker is the easy way to go, and I got a really good price by going through the broker, so the broker’s fees were totally worth it. If you want, you can email me at info@vitaldollar.com and I can point you in the direction of a broker that might be able to help. Depending on the blogs that you’re selling, there’s an outside chance that I might know someone who would be interested in buying it. Great post!! When you partnered with with other companies to sell your products, did they have a contract? How did you approach them about selling? There were 1 or 2 situations where I did sign an agreement of contract to partner with someone else to sell my products. A lot of the deal sites don’t have you sign a contract, at least, based on my experience. The bigger ones like Ultimate Bundles will have you sign something, but usually not the smaller ones. As far as approaching them, most of those types of sites are always looking for people to partner with, so I would just send an email through their site about my products and my interest in working with them. Great! Thank you so much for your quick reply ☺️☺️! Great Post! It gave me some great ideas on how I can combine photography and blogging both which I just started. Did you always have the exit strategy in mind that you would sell your blogs? and are you still happy that you sold two of them or do you think it would of been better to still have all 3?